Most drip machines simply drip water over the coffee grounds to make coffee, but coffee needs to be steeped in hot water for full-bodied taste. 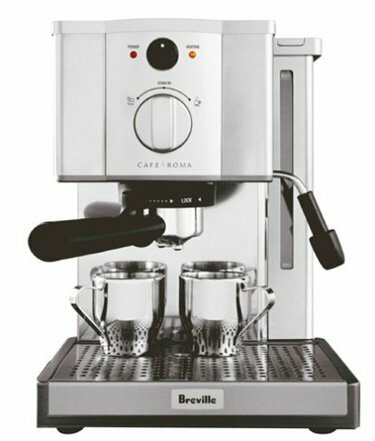 The Breville YouBrew began with the question : how do you brew the perfect cup of coffee from a drip coffee machine? 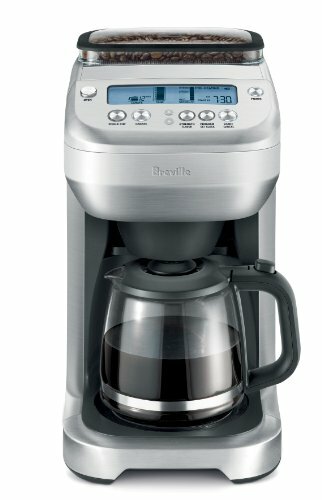 The Breville YouBrew makes it possible for you to make your ideal cup of coffee with its unique coffee brewing system. 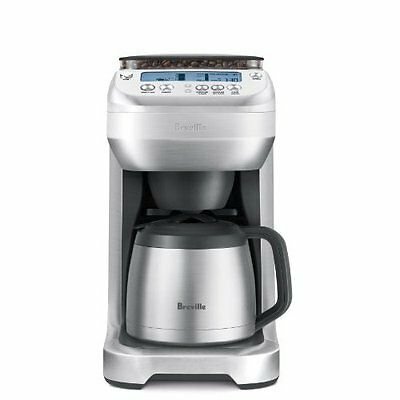 In the single cup mode, the Breville YouBrew holds the coffee and water together for a stronger, more flavorful cup. The process is similar to how a French Press coffeemaker works, which allows the coffee and water to steep together for 4 minutes before drinking. This gives you more control over the flavor of your coffee. Simply choose your favorite bean and roast, choose your preferred strength, and choose your ideal flavor profile, and the YouBrew’s intelligent Brew IQ system does the rest. 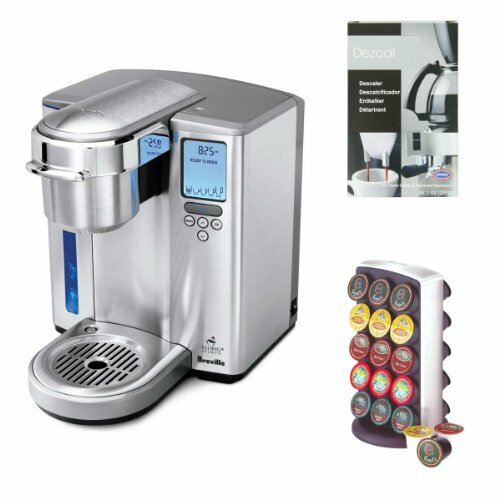 Your choice, your coffee nirvana, Breville’s YouBrew. This is how the Breville YouBrew stands apart : it simplifies coffee-making but still makes it possible for you to customize your perfect cup. 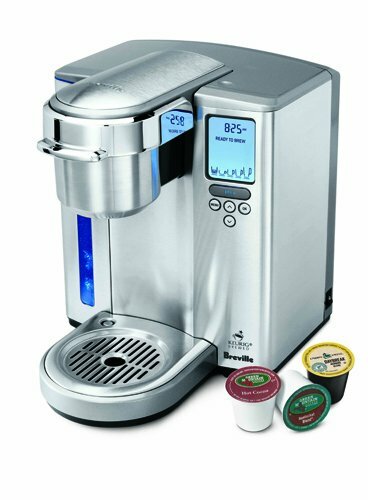 Single-serve coffee machines have made brewing coffee more convenient, but many of them don’t offer much flexibility in cup size, steeping time, or the amount of grounds used (especially if you’re using pre-manufactured coffee pods). The YouBrew navigates all the variables that make the perfect cup of coffee, from customizing brew strength (by adjusting the amount of coffee grounds used) and flavor (by varying the steeping time) to measuring and heating the right amount of water. You’re also not limited to just one cup of coffee; the YouBrew can be used to brew both single-cup servings and multi-cup servings. 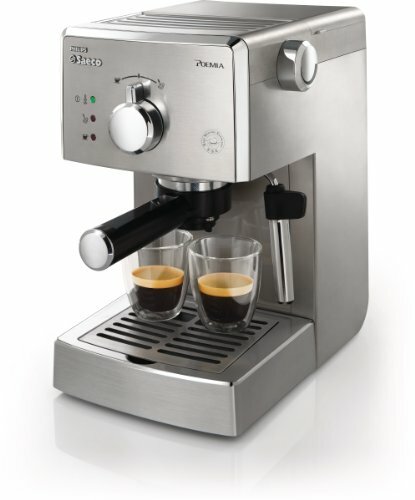 The Breville YouBrew can brew from around 7. 5 oz up to 12 cups of coffee, ensuring that you’ll never have more—or less—coffee than you need. No matter how much water or how many coffee beans you put in the machine, you can adjust the amount of coffee made since the YouBrew measures the volume of water and beans used before making each batch. No more arguments over the last cup, no more wasted coffee. You can brew into a cup, travel mug, or carafe—the YouBrew makes it easy no matter the size. Coffee how you like it. . .
People who love coffee know what they love : whether it’s strong, bold, smooth, or delicate, coffee aficionados have their preferences. How can one coffee machine cater to their needs? The YouBrew allows you to adjust the strength and flavor profile of your single-cup serving. Seven different strength settings from mild to strong to intense and a choice of five different flavor profiles from light to bold give you more control over how much flavor is extracted from the grounds. Based on your preferences, the YouBrew adjusts the volume of coffee beans ground and the steeping time needed for your perfect cup. Don’t know what you like, or change your mind frequently? With the YouBrew, you can experiment with different strengths and flavors until you find the one that’s just right for you. Ability to select less than in tank? 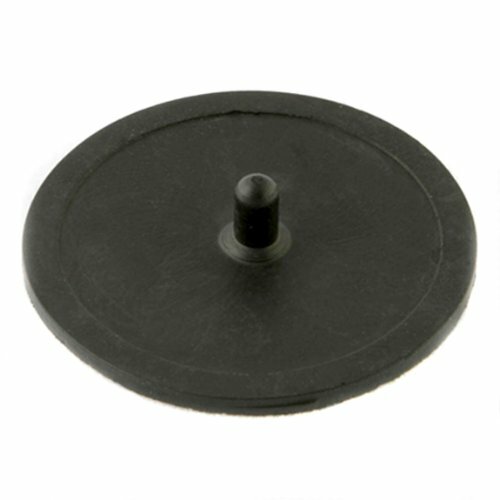 Compatible with the glass replacement carafe? Brews into a cup, travel mug, and carafe? Some like it hot, some like it even hotter—and with the YouBrew thermal carafe, even coffee from the pot several hours old is still hot. Brew a pot when you get up and you can keep drinking it all morning. Not a morning person? The YouBrew can be programmed to start making coffee at a specific time, making it easy to get started in the morning. Simply program it the night before, make sure that it is full of water and coffee beans, and coffee will be waiting for you when you get up. The YouBrew’s built-in burr grinder measures out and grinds the amount of beans necessary for the size and strength that you’ve selected, so no matter when you brew it, your coffee is as fresh as possible (though it’s still an option to use pre-ground coffee, if that’s your preference). If you’re in a hurry when you’re making a carafe of coffee, the Brew Pause feature allows you to pour a cup for yourself in the middle of the brew cycle so you don’t have to wait for the whole carafe to finish. It’s coffee that’s ready to go when you are. Save money with the YouBrew : the YouBrew was designed to deliver freshly brewed coffee with none of the added cost (or waste) of coffee pods, so it’s friendly to your pocket and the environment. The YouBrew is made from attractive stainless steel, making it not only durable but beautiful. Though taller than the average coffee machine to accommodate the burr grinder, the YouBrew can brew into a variety of cups, including tall travel mugs. And even with the YouBrew’s numerous options, it is easy to use. The blue back-lit LCD display is intuitive to use, showing size, strength, and flavor preferences in addition to the amount of water left in the reservoir and the time left until brewing is complete. The YouBrew is also easy to clean, reminding you to clean the filter and notifying you when it is necessary to go through the cleaning process of descaling. 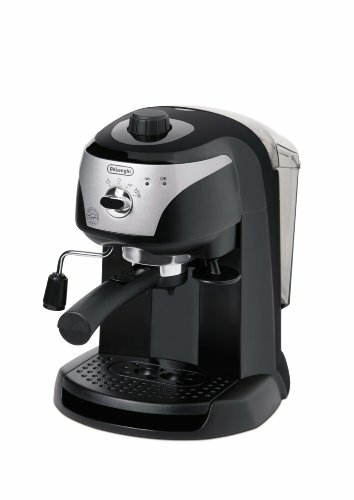 Coffee has never been simpler : enter your favorite settings and a fresh cup of coffee is literally a button push away. Built-in burr grinder grinds the perfect amount of beans for your preferred coffee strength, so your coffee is as fresh as possible every time you brew. A cleaning brush for cleaning the grinds chute (stored under the hopper), and a removable grinds catcher makes cleanup easy. Easy-fill water tank. Red float shows when the tank is full, and the amount of water in the tank is displayed on the LCD screen. LCD display with easy-to-understand graphics informs you of the phase of the brewing cycle (pre-heating, steeping, or brewing), counts down the brewing time, shows the amount of water in the tank, and notifies you if the machine needs to be cleaned. 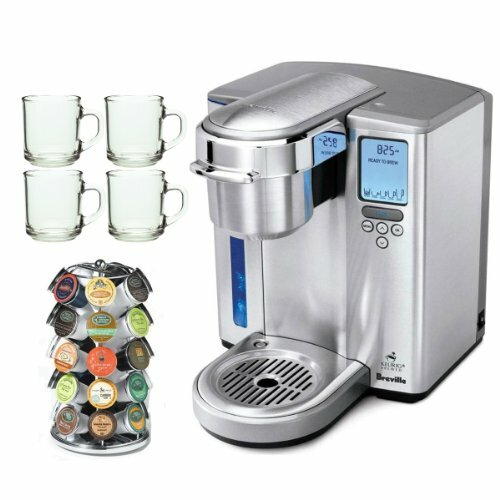 12-cup glass carafe is included with the machine for larger servings. Built-in warming plate keeps the carafe warm after brewing. You pick the beans and roast. The YouBrew’s integrated burr grinder grinds your choice of beans just prior to brewing for maximum freshness, flavor, and aroma—or you can turn the grinder off and use pre-ground coffee. You pick the size. When it comes to coffee size, oftentimes it’s one size fits none. The YouBrew offers you full flexibility : pick either a carafe (for entertaining) or brew directly into one cup (for one person). The Brew IQ system will intelligently choose the right amount of ground coffee and the right amount of water—at the right temperature—according to your preferences. You pick the brew strength and flavor profile. Pick your strength, choosing from seven settings from mild to intense to vary the amount of beans ground and used. Pick your flavor, choosing from five settings from light to bold, to vary the steeping time of the coffee and water.